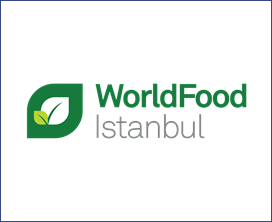 WorldFood Istanbul is the largest food and drink exhibition in Turkey. The event annually attracts over 360 domestic and international food producers, who converge in Istanbul to network, negotiate and conclude business with Turkey’s food industry buyers. Turkey’s population exceeds 77 million – the 17th most populous country in the world and one of the largest markets in the region. The country’s young population are emulating western consumer patterns and demanding more choice. The country is ideally located in both South-eastern Europe and South-western Asia, making it a favourable destination for foreign direct investment. GDP per capita in 2013 equalled US$10,946 - a substantial consumer market. Turkey’s network of grocery and retail outlets are looking to source more international products to cater for the Turkish market – an ideal time to enter into the Turkish market place.